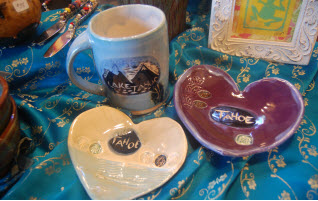 Our cozy shop features handmade items made exclusively at Lake Tahoe. 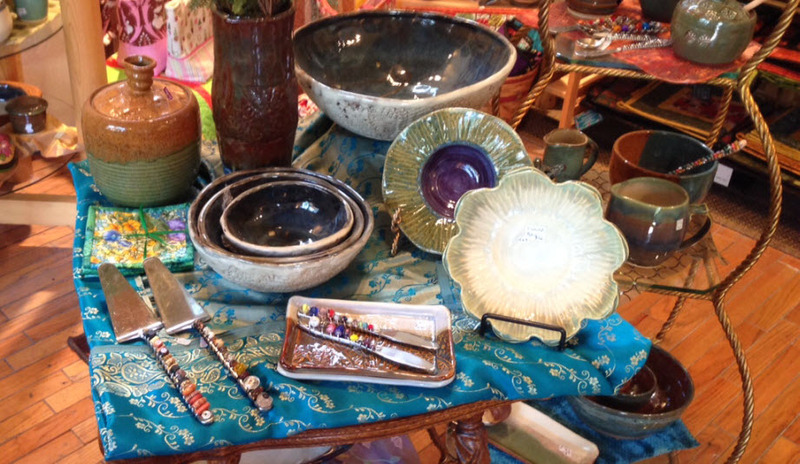 Whether something special for your home or a thoughtful gift, you are sure to find a treasure at Handmade At the Lake! 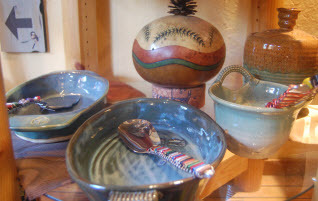 Tahoe inspired carved gourds, functional and decorative pottery, Lake Tahoe cards, prints and whimsical Tahoe artwork. Our artists are busy stocking the shelves so check back often for new arrivals. Whimsical Tahoe animals, flowers, linocut prints, and Lake Tahoe watercolors are available both framed and in print format. 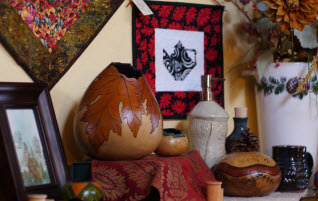 Table runners, decorative gourds, lap quilts and pottery for every room in your home. Functional and decorative items for your kitchen and bath. 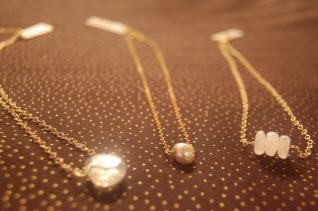 Compliment your wardrobe with our jewelry items made from handblown lampwork beads, semi-precious stones, and metal beads. 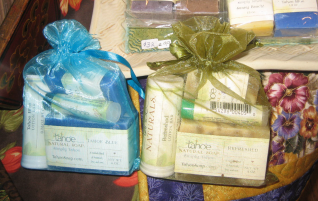 Soap, and bath products, Lake Tahoe ornaments, coaster sets and more round out our extensive gift selection. 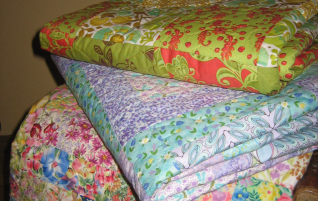 Art quilts, lap quilts, and baby quilts.